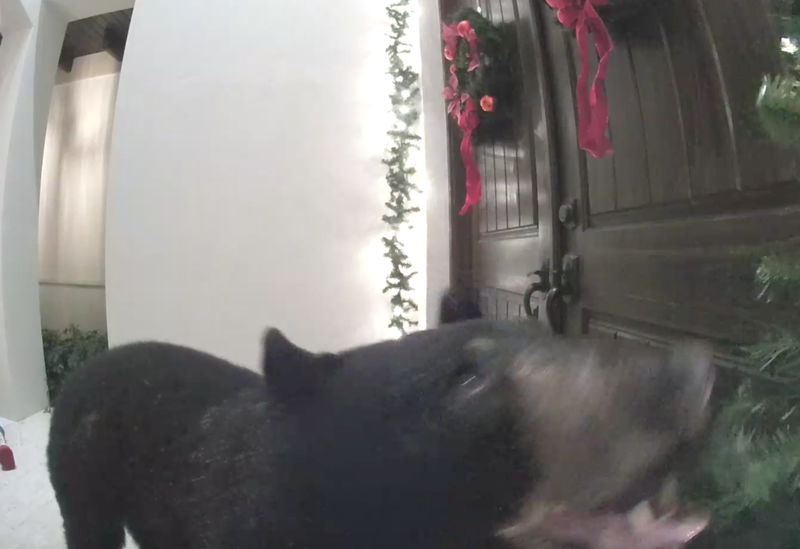 One homeowner in Florida got quite a surprise when a black bear ventured onto the man’s porch and rang the doorbell after knocking over some Christmas decorations. The bear then sauntered away, but left the Christmas decorations knocked over. The only damage reported was the head was knocked off a decorative snowman. Although Florida is not known for having bears, the state does have a small and scattered black bear population.